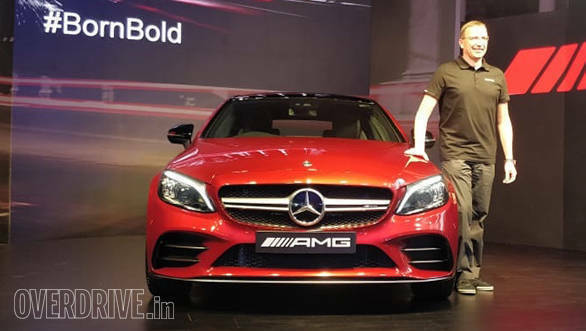 Mercedes-Benz India has launched the 2019 Mercedes-AMG C 43 coupe in India at Rs 75 lakh (ex-showroom). This launch follows after Mercedes updated both the standard C-Class sedan (with which we broke some records) and cabriolet C-Class models over the past six months. 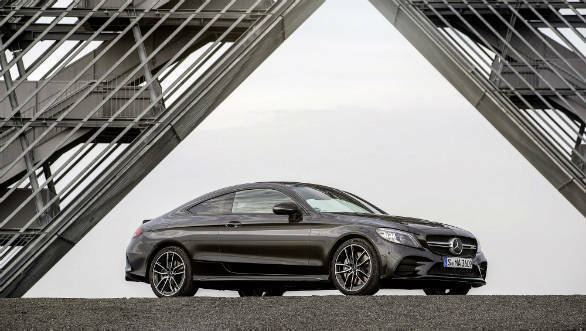 Mercedes-Benz also announced a maintenance package for the C 43 Coupe, the Star Ease Compact for 2 years/unlimited kilometres, priced starting at Rs 68,000. Unlike the earlier C 43 which was offered in a sedan bodystyle, the updated car is a coupe only. While the general look is close to that of the standard C-Class coupe available elsewhere, this performance version gets a few unique visual tweaks like the AMG grille with twin louvres finished in matt iridium silver, and a heavily sculpted front apron. Distinctive bits at the rear are the twin chrome-tipped exhausts, a subtle diffuser and spoiler. The overall design achieves the low-slung, long bonnet and short rear overhang look expected of a performance car such as this. 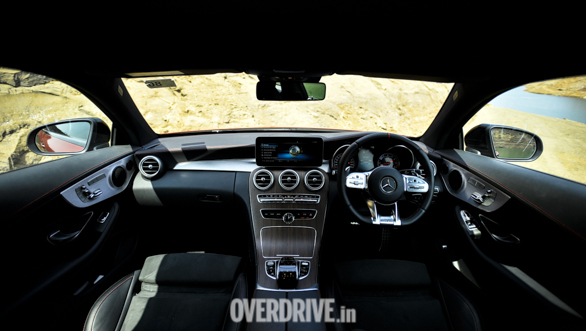 The interiors retain the basic layout of the C-Class but is trimmed in more premium leather upholstery with contrast stitching, heavily bolstered sport seats and an AMG-steering wheel. Further, all the added equipment seen on the facelifted C-Class like the larger infotainment system, new ambient lighting and so on is also available. The 3.0-litre twin-turbo petrol motor has been carried over but power now is increased by 23 PS to 390PS while torque remains at 520Nm. Mercedes claims a 0 to 100 kmph acceleration figure of 4.7s and an electronically limited top-speed of 250kmph. This works in conjunction with Mercedes' nine-speed automatic. 4Matic AWD is also available as standard. Here's the system is rear -biased and sends 69 per cent power to the rear and 31 percent to the front. The C 43 is further aiding by the firm's trick adjustable suspension system which constantly adjusts itself according to driving conditions and the drive mode selected. 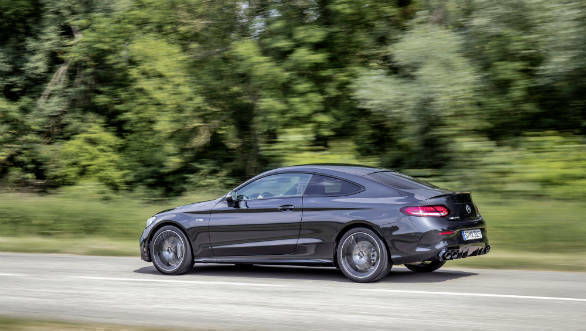 The C 43 coupe strikes a fine balance between Mercedes luxury and AMG aggression, but in a more approachable way than its bigger siblings. The coupe bodystyle should also make the C 43 a bigger draw this time around, differentiating it more from the standard C-Class. The 2019 Merces-AMG C 43's competitors include the Audi S5 and BMW M2 competition.